12761 NW Pea Ridge Rd. Root canal treatment is part of the field of dentistry known as endodontics. Endodontics studies and treats the inner portion of your tooth, which includes your root canal system, tooth nerves, and dental pulp. This delicate area is generally protected by your tooth enamel, but when decay or damage occurs, the inside of your tooth can become infected, causing sharp, throbbing pain and eventual tooth loss. Root canal treatment, often simply called a root canal, is designed to remove all signs of infection and restore your tooth to proper health. 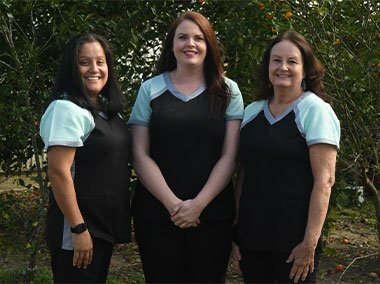 Dr. Laban Bontrager and Dr. Monica Bontrager can normally complete a root canal in Bristol, Florida, in a single visit to our dental office. After using any necessary anesthesia, we will gently open the tooth, remove the infection, and clean out your root canal system. The inner portion of your tooth is filled with a rubber-like material known as gutta-percha. The tooth is then sealed with a filling or dental crown, based on your individual needs and the severity of your case. Our dentists use great care and skill when performing root canal treatment. We will do all we can to ensure you have a comfortable and relaxing experience. We will also formulate a plan to help prevent such decay from occurring in the future. If you are experiencing severe tooth pain or sensitivity, you may need a root canal. We encourage you to contact us at Bristol Dental Clinic for more information. © Copyright 2019 Bristol Dental Clinic. All Rights Reserved.